The highly anticipated new blockbuster by the bestselling author of The Perfumer's Secret. Alexandra Frobisher, a modern-thinking woman with hopes of a career in England's famous chocolate-making town of York, has received several proposals of marriage, although none of them promises that elusive extra - love. Matthew Britten-Jones is a man of charm and strong social standing. He impresses Alex and her parents with his wit and intelligence, but would an amicable union be enough for a fulfilling life together? At the end of the war, Captain Harry Blakeney discovers a dead soldier in a trench in France. In the man's possession is a secret love note, tucked inside a tin of chocolates that had been sent to the soldiers as a gift from the king. 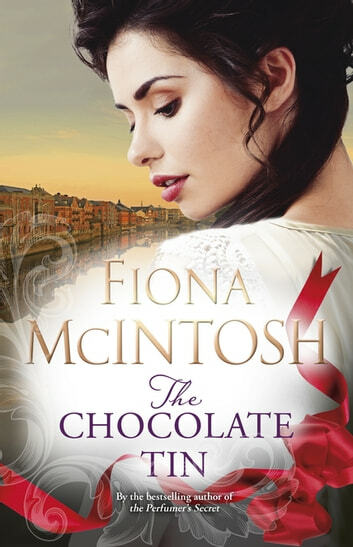 In pursuit of the author of this mysterious message, Harry travels to Rowntree's chocolate factory in England's north, where his life becomes inextricably bound with Alexandra and Matthew's. Only together will they be able to unlock secrets of the past and offer each other the greatest gift for the future. From the battlefields of northern France to the medieval city of York, this is a heartbreaking tale about a triangle of love in all its forms and a story about the bittersweet taste of life ... and of chocolate. Fiona McIntosh at her best. Excellent story line. A real page turner. Was sorry when it finished. Highly recommend.